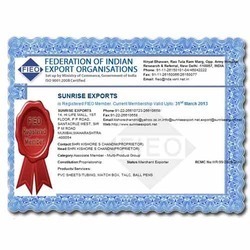 Incorporated in 2000 by Mr. Kishore Chandni, Sunrise Exports is one of the leading manufacturers, exporters and suppliers of all types of Match Box, Cardboard Match Box, Wax Match Box, Kitchen Match Box, Ballpens & Ballpen Refills, Talc and Stationary Items. We are committed to offer quality proven product range which is ensured by a high level of stability in our quality control processes. We procure our raw materials from the leading vendors in the market, which undergoes stringent quality analysis. Equipped with robust infrastructural facilities and skilled manpower, we have a niche for ourselves in the national and international market. We are engaged in offering high quality pens such as Ballpoint Pens, Design Pens, Writing Instruments, Promotional pens, Pens and Pencils, Writing Pens, Promo Pens, Plastic Ball Pens, Use & Throw Ball Pens, Normal Ball Pens, Ball Pens, Use & Throw Ball-Pens, Direct Fill Ball Pens & Water Color Pens. We are also offering Color Pencils, Sharpeners, Scales,Water Color Cakes, Wood Free Pencils, Crayon, Kerosene Wick Stoves, Ball Pen Refills, Plastic Refills, Metal Refills, Gel Refills, Metal PKR Refills, Ball Point Refills, Super Refills, Safety Match Boxes, Wax Match Box, Match Box, Safety Match Box, Talc Powder, Soap Stone Powder, Pen Boxes and Plastic Pen Box. Our progressive organization is the result of our goodwill that we gained by providing finest quality products. Empowered with our own manufacturing facilities and team of experts, we work diligently to gain customer satisfaction. Our products have acquired a strong hold in the International market. Moreover, our commitment for excellence has taken us many miles ahead of our competitors. We are exporting different types of stove like kerosene stove, kerosene wick stove, kitchen stove, cooking stove, outdoor stove, portable stove etc. We are looking queries from Africa & Middle East. 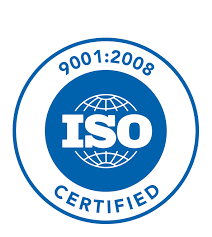 We are committed to quality as all our products are subjected to stringent ISO std tests. Products are precisely tested on various parameters. We achieve the quality of the products by developing a number of inspection procedures performed by professional production technicians. The raw materials we procure are certified and we assure that the finest raw materials available are used. We ensure our products are meeting the quality standards set up by us before they reach the market. Regular quality checks are conducted to maintain the quality standard of the final product that reaches the market. We are dedicated to provide our customers with the finest quality products and services; assuring timely delivery of orders. The indispensable part of our organization is its hardworking and dedicated workforce which is accountable, professional and experienced. 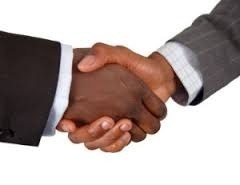 They ensure flawless supply to all our clients so that they do not face troubles from our end. Our professional workforce maintains the quality of the products we supply by emphasizing on its technical assurance. Our professionals are well versed with all the latest technology and machinery mechanisms. 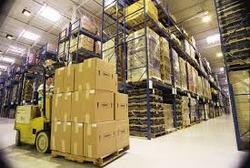 Their tremendous efforts have led to the smooth functioning of the supply procedures of the organization. We are offering a wide-ranging variety of packaging solutions to our customers for different requirements. Our product range includes Safety Match Boxes, Ballpen and Ballpen Refills, Direct Fill Ballpens, Holograms,Kerosene Wick Stoves, Beauty Soap, Detergent Powder, Talcum powder, & Corn Starch Powder.